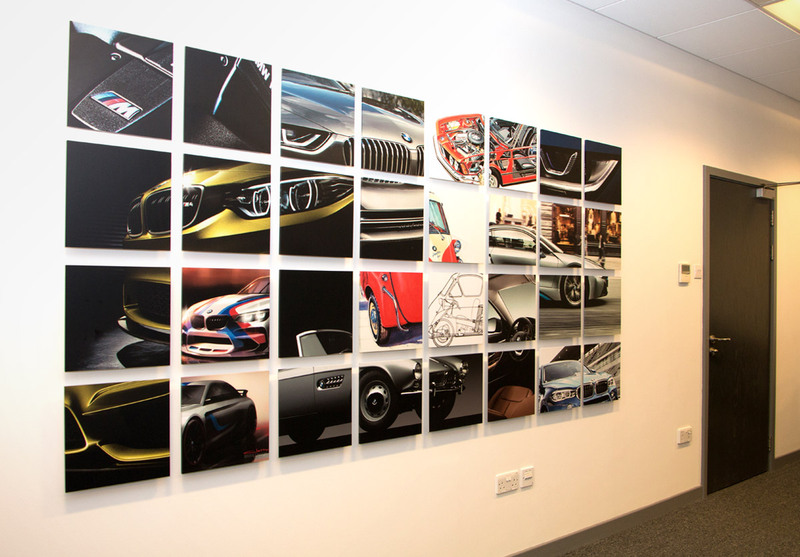 Eastern BMW asked us to brighten up a dull meeting room in their showroom. 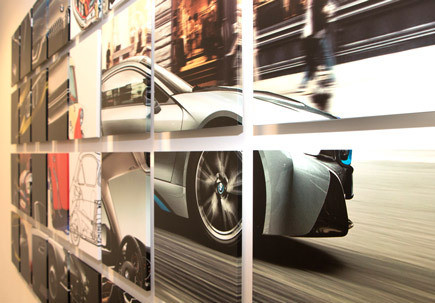 The brief was to create bright, colourful and interesting wall graphics. The decision was made to create a grid formation of floating wall panels. 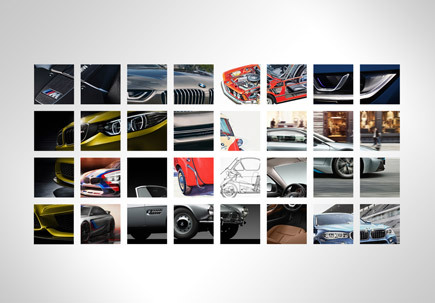 These would feature iconic images from the brands past but also look ahead to it's future with electric and concept cars. The panels were cut foamex finished with matt laminated vinyls. wrapped edges and a floating effect completed the look. 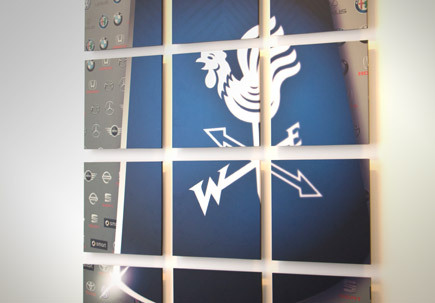 The opposite wall in the room was dressed with a smaller grid, this time representing the Eastern Western Group and the other brands in the family.